Polsloe derives from Poll's marsh, Poll being the landowner on which Polsloe Priory had been built in Saxon times, and was recorded in Domesday after the Norman invasion. Polsloe Road follows the line of an Iron Age ridgeway track from Salmon Pool on the Exe, up Barrack Road, then Polsloe Road to join a similar trackway from the High Street that terminates at Stoke Hill. Called Workhouse Road after the Heavitree Workhouse, now Heavitree Hospital, it was renamed Polsloe Road by the Improvement Commission in the nineteenth century. The boundary between Heavitree and the city runs along Polsloe Road, which caused several disputes between the City and Heavitree over the maintenance of the city side footpath; in 1876 the City Council discovered that they had been maintaining the footpath illegally. The earliest mention of Polsloe Road in the Flying Post was when the Improvement Commission considered a request for a lamp to be placed in the road in 1865. In the same year 1 and 2 Polsloe Villas, Polsloe Road were for rent. There was a letter in 1866 complaining of the 'ugly... laying out' of the land belonging to the Freehold Land Society in Polsloe Road. Discombe Villas were originally 1 & 2, but were renumbered by 1912. 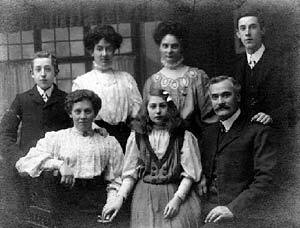 Tom Shute lived with Helena his wife and five children in number 56. He was a cab driver, groom and gardener. The Devon and Exeter Female Reformatory and Refuge for discharged Prisoners, built in 1858, for the employment and instruction of girls was also situated in Polsloe Road. The building was, until recently, the Nichols Centre, a centre for special needs adult training. It has been turned into housing. In 1871 consideration was made for building a smallpox hospital in the the road, much to the disgust of one irate letter writer in the Flying Post. Polsloe Road was flanked by brick and tile works - to the west was Hancock and Sons, on what is now, the Clifton Hill Sports Centre site, and to the east, Sampson Junior, brick and tile manufacturers behind Park Villas, to the south of Park Road. 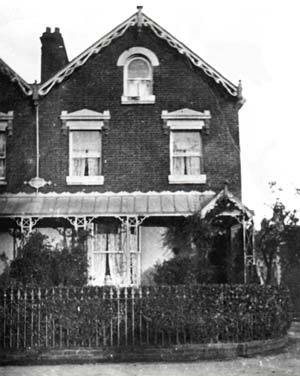 Many of the houses in Polsloe Road would have been built of local brick. 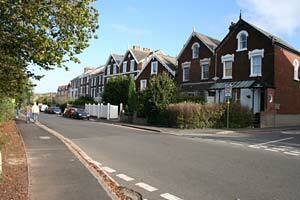 By 1900, a typical, newly constructed house in the road would have sold for £375. Third Officer, George Brand Carter, S.S. "Conch" (London), Mercantile Marine. 7 December 1916. Age 41. Polsloe Rd., Exeter. Source: Various sources, street directories, Victorian Exeter by Robert Newton and Christopher Shute for the photo.